Recycling is part of daily life for many American households. Since the 1960s, rates have increased by 34 percent with the average American recycling or composting 1.5 pounds of waste per person, per day. We’re also generating less trash at an average of 4.4 pounds per person, down from 4.7 pounds the previous year. While there’s always room for progress, it’s clear today’s families want to make a positive environmental impact. The same is true for farm families in South Dakota and across the country. Recycling happens in their homes and extends to their facilities, feed bunks and fields. It’s part of their commitment to sustainability, which means doing the right thing for the environment and continuously improving the land for future generations. 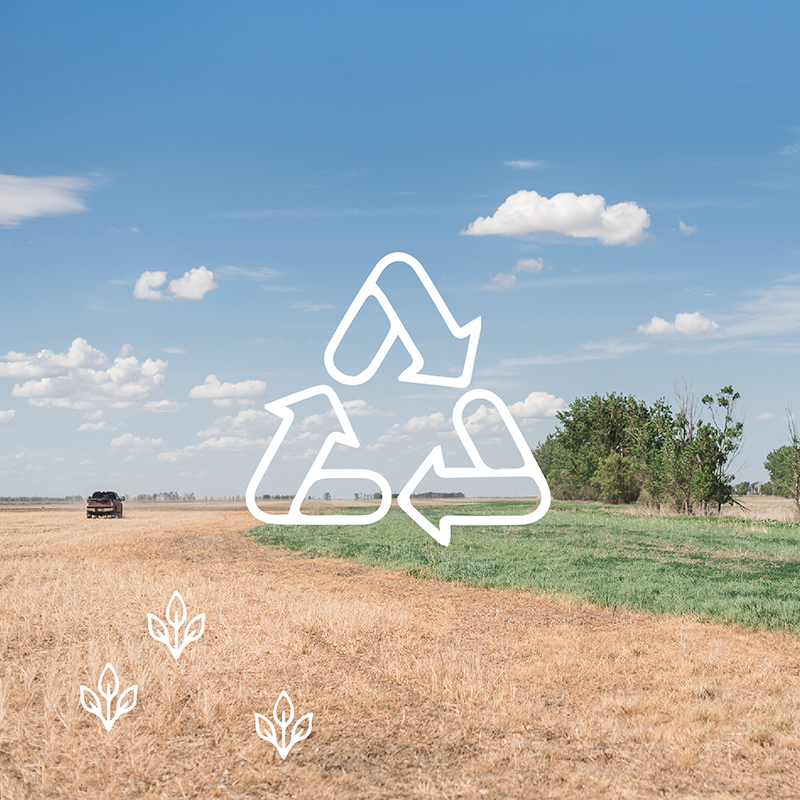 Here’s a look at a few ways farmers repurpose, reduce and recycle on the farm. For those who raise animals and grow crops, there’s a sustainable cycle that occurs naturally. On Peggy and Brad Greenway’s farm, for example, they feed some of the soybeans, corn and alfalfa they grow to their animals. 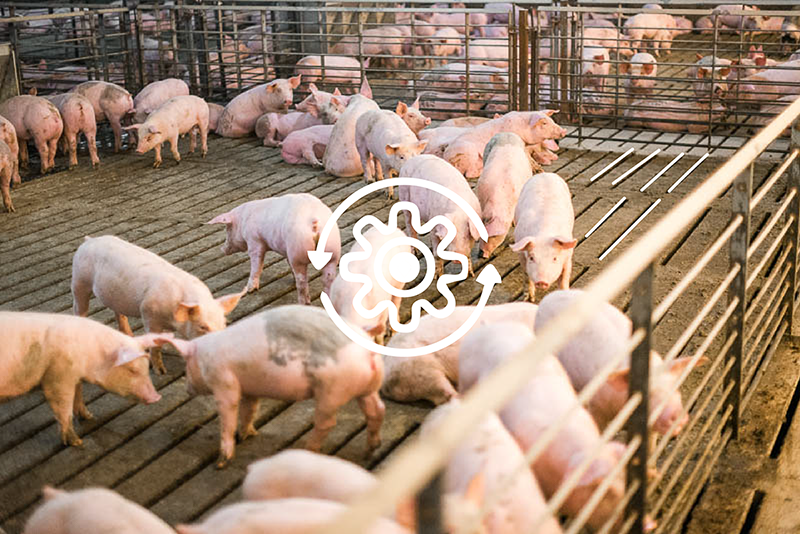 Those pigs and cows turn the food into energy and create nutrient-rich manure the Greenways use to fertilize their fields. Thanks to farm technology, they can apply the manure in precise amounts to grow more healthy food. 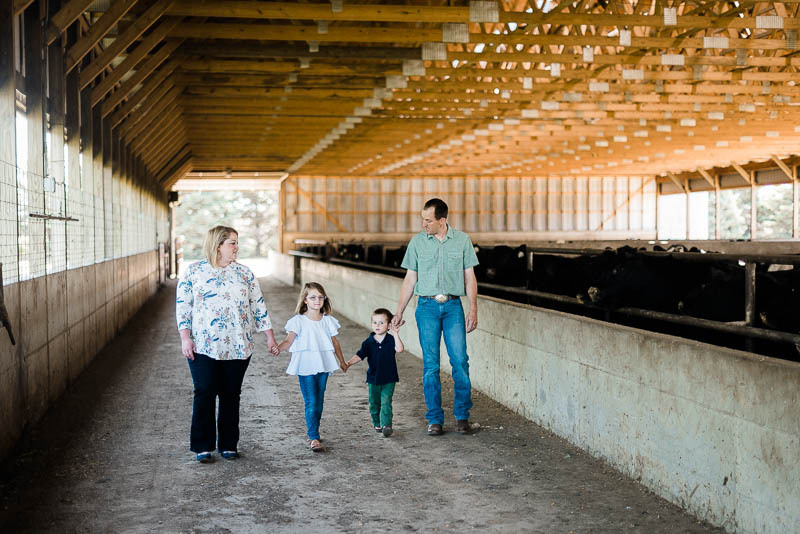 It’s the same for Morgan and Jason Kontz who “recycle” their crops via their cattle and a deep-pit beef barn that safely collects manure through grates in the floor. Then they use a tanker truck and drip line to distribute the fertilizer across each acre according to soil and crop needs. The Kontz family also composts their crops by leaving plant stalks and stems in the field after harvest. This practice, known as no-till, puts crop residue to use without disturbing the land. It also provides extra protection from erosion, additional nutrients for future crops and food for beneficial insects like worms. It’s an effective and natural way to fuel plant productivity from one season to the next. Other farmers give new purpose to old items. 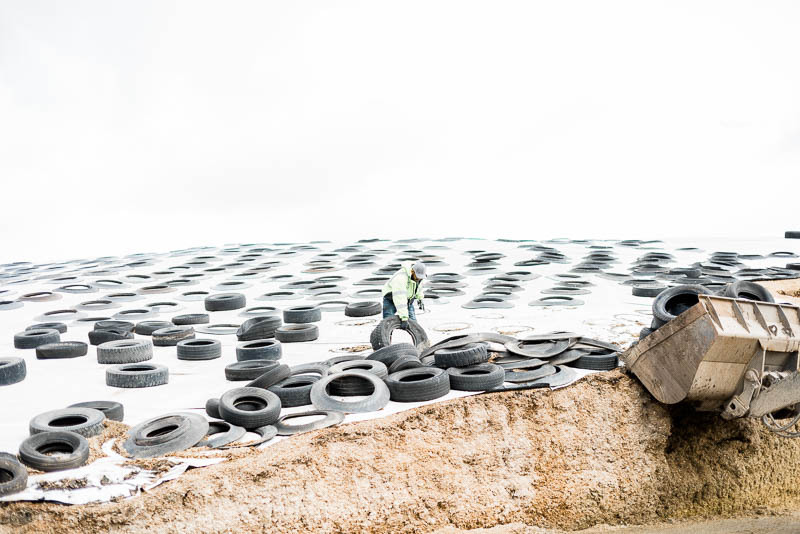 On dairy farms, old tires work great as weights to hold down the plastic tarps they use to protect their cows’ feed and as anchors for calf hutches. They can also be used to hold feed for cattle or can be strategically placed around the farm to protect the land from erosion. With some soil and seed, gardeners can transform them into raised beds for growing fresh produce. Water is a precious resource that’s also reused in several ways. Dairy farmers can wash their milking parlors, barn floors and irrigate their crops with the same water. 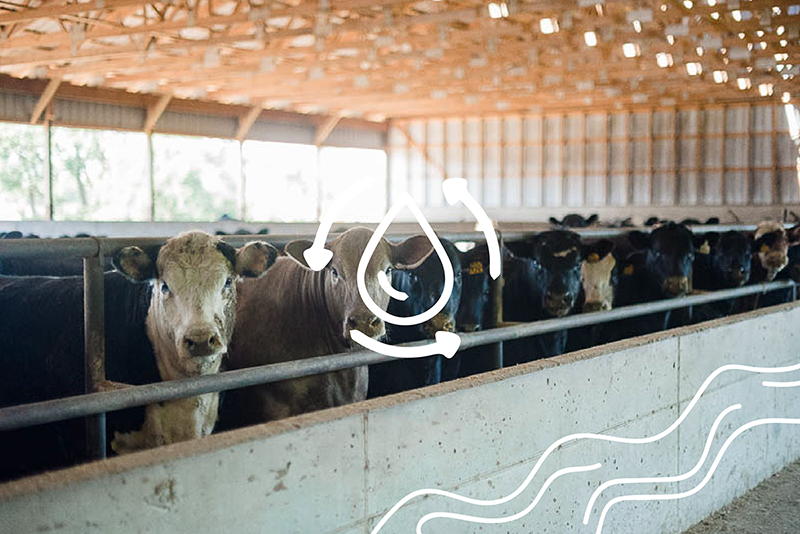 One farm even uses an innovative filtration system to turn 22,000 pounds of manure into 12,000 gallons of water! After treatment, the water is safe to use for animals and crops. Some take an extra step to save water by using a tailwater recovery system, which captures rain and irrigation runoff in the fields and stores it in a reservoir. Then, the water is redistributed via irrigation to crops to help them grow. In addition to these practices, states have established programs to help farmers recycle agricultural plastics. South Dakota collects and washes pesticide containers to turn them into industrial materials. Farmers in Minnesota and Wisconsin can drop off used plastic bags and wraps to be transformed into new trash can liners and other products. With all of these efforts in place, it’s clear farm families care about the environment and take action every day to protect and preserve it. What are some ways you recycle at home? Tell us in the comments below. 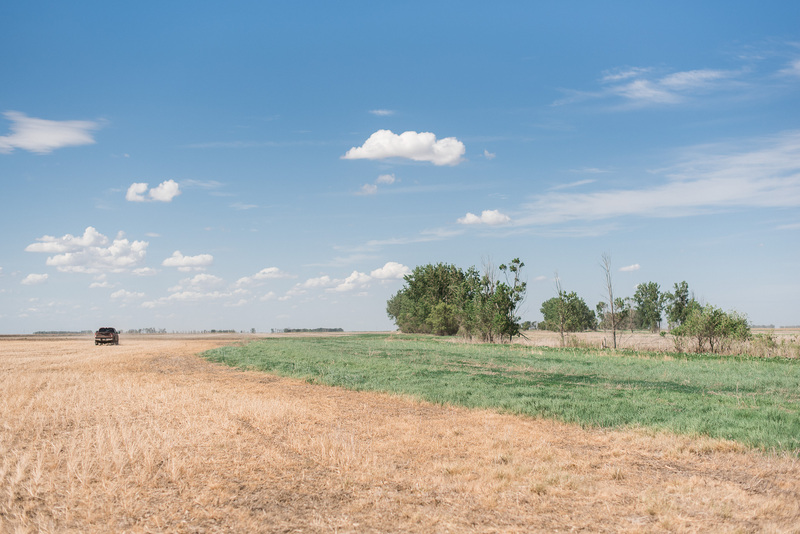 You can learn more about how young farmers are contributing to a more sustainable food system through a new precision technology program at South Dakota State University.